Falvey Memorial Library :: Water Cooler Talk: Where's that cool, clear water coming from, anyway? 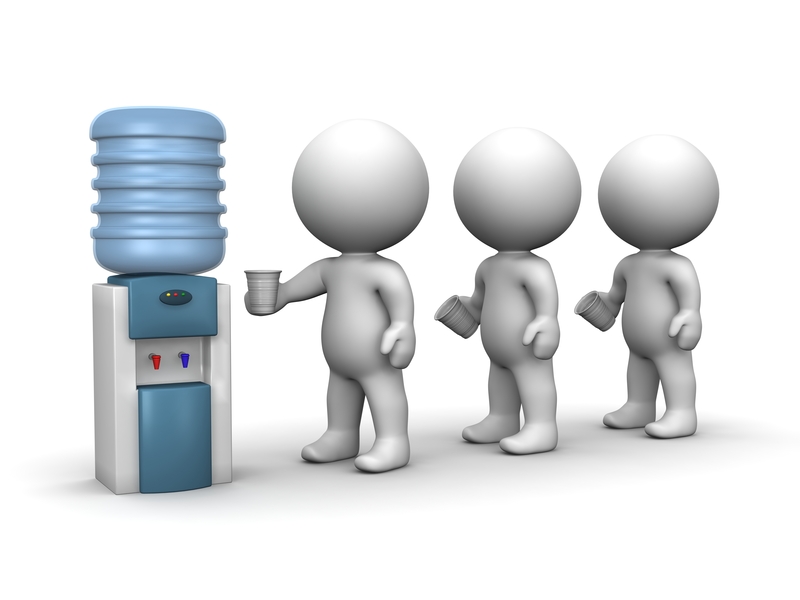 Water Cooler Talk: Where's that cool, clear water coming from, anyway? The water cooler in office suite 235 is a popular spot with numerous daily visitors. When the University changed its water supplier to Deer Park, that name triggered a memory of a small town in the Appalachian Mountains of western Maryland, a town that my family drove through every weekend from May through October. Could the water in my office cooler come from that Deer Park? Well, the answer is yes and no. 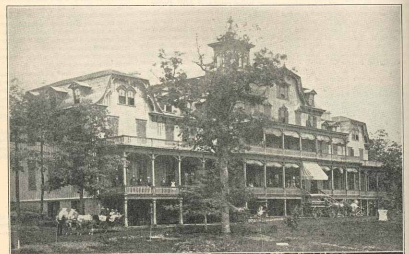 Deer Park, Md., in the later 1800s was a summer resort in Garrett County catering to the rich and famous; President Grover Cleveland and his wife, Frances, spent their honeymoon there in June 1882, and three other American presidents – Garfield, Harrison and Taft – visited the resort. A Maryland Historical Society roadside marker says, “This was one of the most exclusive mountain resorts in the East.” What brought these “nationally prominent people” to rural western Maryland, and what does this have to do with Deer Park water? The B&O Railroad (Baltimore & Ohio Railroad, now part of CSX) built and operated the Deer Park Hotel and cottages on the hotel grounds. The hotel opened July 4, 1873, and operated until 1911 or 1929 (I’ve found conflicting dates for this). No longer standing, the Deer Park Hotel was razed in 1942. 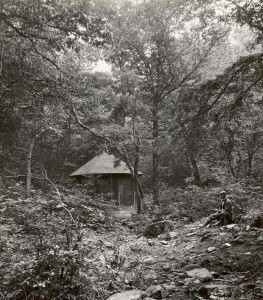 The B&O owned a spring, locally called the Boiling Spring, in the vicinity of the Deer Park Hotel. The water bubbled up through white sand, hence the name, Boiling Spring. Originally a small rustic building with heavy wire netting sides protected the spring which was surrounded by acres of virgin timber. This spring, said to be one of the finest natural springs in the United States, had a daily flow of about 150,000 gallons. The railroad bottled Boiling Spring water as Deer Park water and served it in the Deer Park Hotel and in the B&O dining cars, but never sold the water. The Boiling Spring also supplied the water for the hotel’s swimming pool and spa. 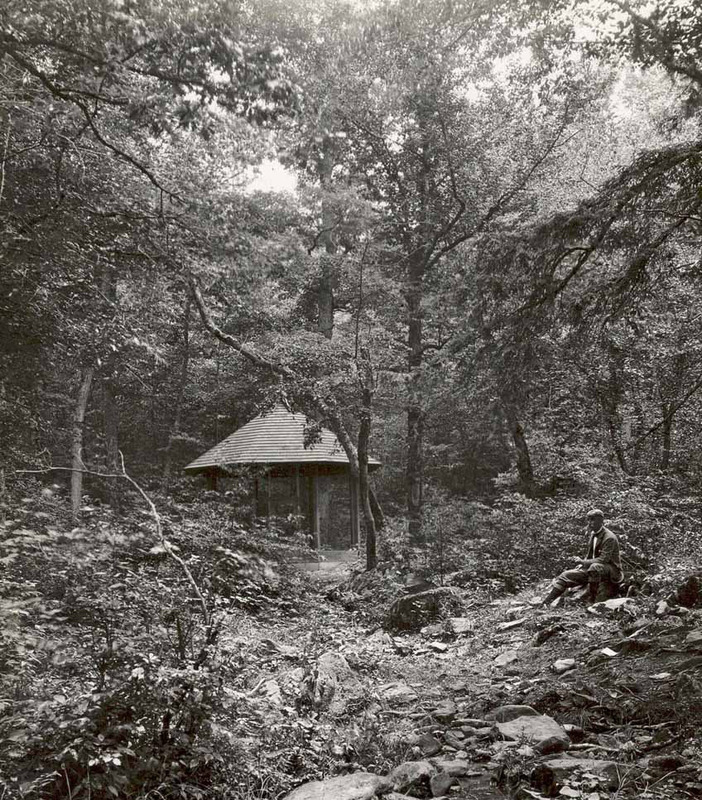 In the 1950s a new pagoda-style spring house replaced the original rustic building, and the spring water was treated by a hypo-chlorinator in a new bottling plant, despite the B&O’s claim that the water was “one of the purest waters to be found anywhere.” Water, labeled as Deep Park Spring Drinking Water, was bottled at the spring for service on the railroad’s dining cars into the 1960s. In 1966 the B&O sold the spring and the surrounding forest to the Boiling Spring Holding Corporation. This company bottled the spring water and sold it in the New York City area. The Boiling Spring Holding Corporation became Deer Park Spring Water, Inc.
Nestlé Waters North America purchased the spring and approximately 850 acres surrounding it in 1987 and began selling bottled Deer Park® Brand 100% Natural Spring Water. Nestlé Waters NA began in 1976 and at that time sold only Perrier® Sparkling Natural Mineral Water. 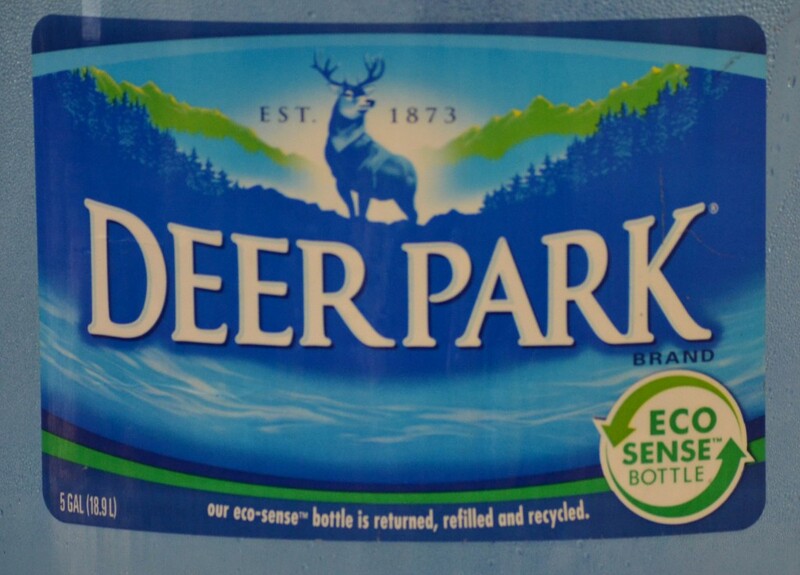 The company expanded to its current fifteen brands of bottled waters and teas, Deer Park® water among them. This brand is sold in the mid-Atlantic and southeast. Nom nom nom spring water! Fresh water drawn from natural springs and brought to us in 5 gallon recyclable, refillable bottles set on a cooler: this is what we are drinking. Does it actually have to come from that old western Maryland spring for us to enjoy our conveniently located source of cold water? Alexander, J. H. Opinion on a Portion of the Location for the Baltimore and Ohio Rail Road. Dilts, James D. The Great Road: The Building of the Baltimore and Ohio, the Nation’s First Railroad, 1828 – 1853. Harwood, Herbert H. Impossible Challenge: The Baltimore and Ohio Railroad in Maryland. Hungerford, Edward. The Story of the Baltimore & Ohio Railroad, 1827 – 1927. Stover, John F. History of the Baltimore and Ohio Railroad. Article by Alice Bampton, digital image specialist and senior writer on the Communication and Service Promotion team. 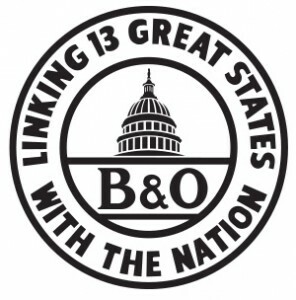 B&O logo retrieved from http://borhs.org/. Cat gif from Giphy.com. Deer Park logo photo by Alice Bampton. I wouldn’t trust that the ground water hasn’t been contaminated by agricultural runoff over the decades. just out of interest the purest deep spring water is found in new zealand, a place called pupa springs just outside of taakaka. Me i’m going to stick to elkay water. I believe all our drinking water is safe. Water companies are very concerned about their reputations.